Major travel disruption is expected for commuters to and from Burnley to Rawtenstall and Manchester after a burst water main forced police to close a main road. Emergency services were called to Burnley Road in Crawshawbooth on Sunday to reports of a suspected collapsed drain. Firefighters from Rawtenstall were deployed to try and re-direct the water away from homes and police closed the road in both directions at the White Bull. The road is the usual route for the much-used X43 Witchway service from Burnley to Manchester, as well as commuters travelling between Rossendale and Burnley and Pendle. 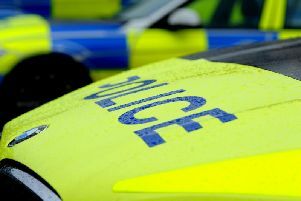 Police have today confirmed that Burnley Road is still closed in both directions at the White Bull and Indian Harvest. The latest information from United Utilities and their contractors is that this will be the case until Wednesday. A police spokesman said: "We are still at the site trying to assist and have requested a full traffic management plan be implemented to try and alleviate the congestion as much as possible. "We have explored the possibility of opening half the road but the damaged surface is too wide to allow this to be accommodated. Thanks again to the Crawshawbooth residents who are offering support and encouragement to their local police team at the site." The Burnley Bus Company, which operates the X43, said today that the service was being diverted to the Summit as normal and then not picking up again until Rawtenstall.